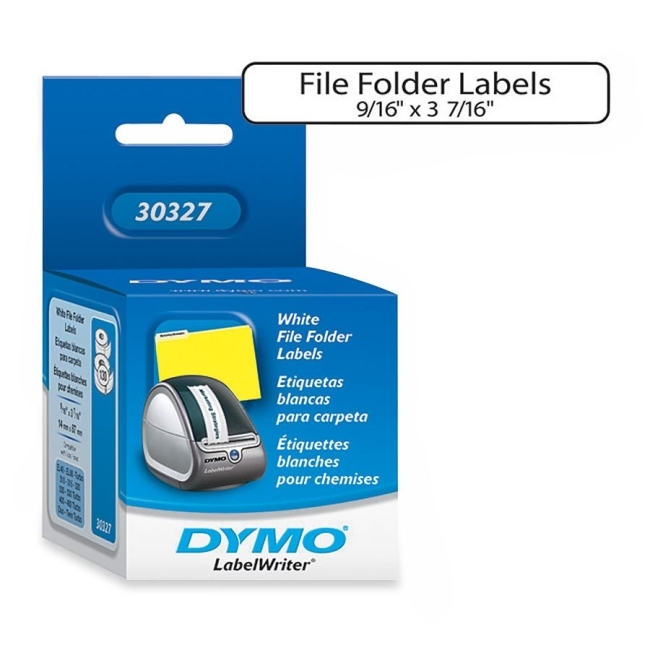 White File Folder Labels print direct from the roll for simple use. Print labels singly or in a batch. Compatible with DYMO LabelWriter printer EL40, EL60, CoStar LabelWriter XL, 300, 310, Turbo and CoStar LabelWriter XL Plus, Turbo, 320, 330, 330 Turbo, 400, 400 Turbo, Twin Turbo, Duo and Seiko SLP 120, 240, Pro, EZ30, and Plus.